Get ready for fall with this delicious munchkin pumpkin recipe! It’s healthy & gluten free. For Low FODmap option, please see annotations in green. It’s healthy but if you bake it, it tastes just like french fries! 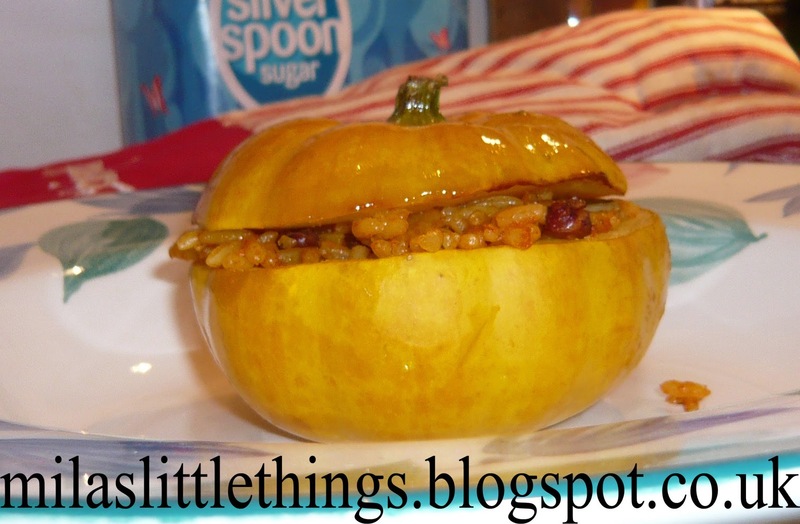 Here’s an idea for easy to make and healthy munchkin pumpkin lunch. Use instead: 1 small gem lettuce (chopped), a handful of cocktail tomatoes (chopped). 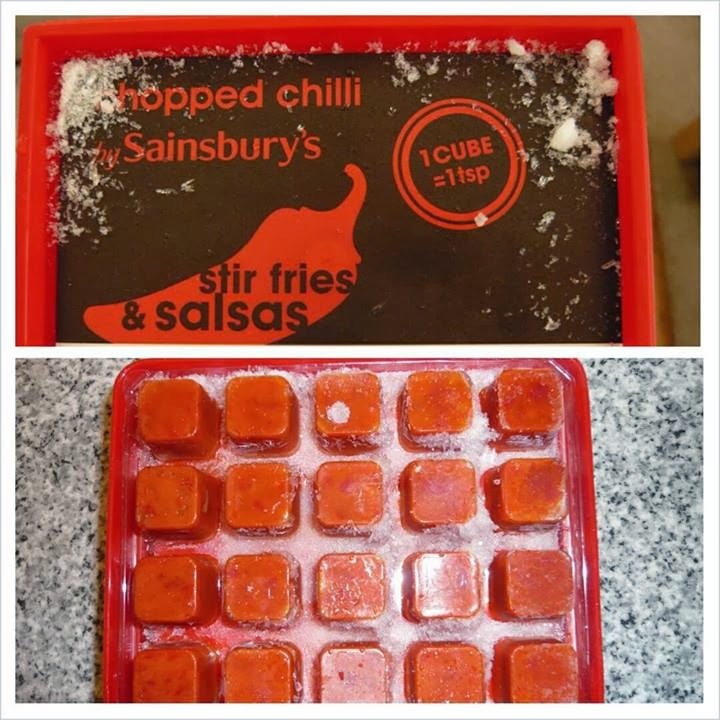 Swap: stir and fry salsa cubes for gentle salsa sauce (you can ad pinch of cayenne pepper to the sauce). Have in mind: ready to eat rice ingredients. You can use flavored rice but always read the ingredients list to make sure there are no high FODmap additives. Rest of the ingredients is the same. Slice off tops from your munchkin pumpkins (don’t throw them away!) and scoop out the seeds. 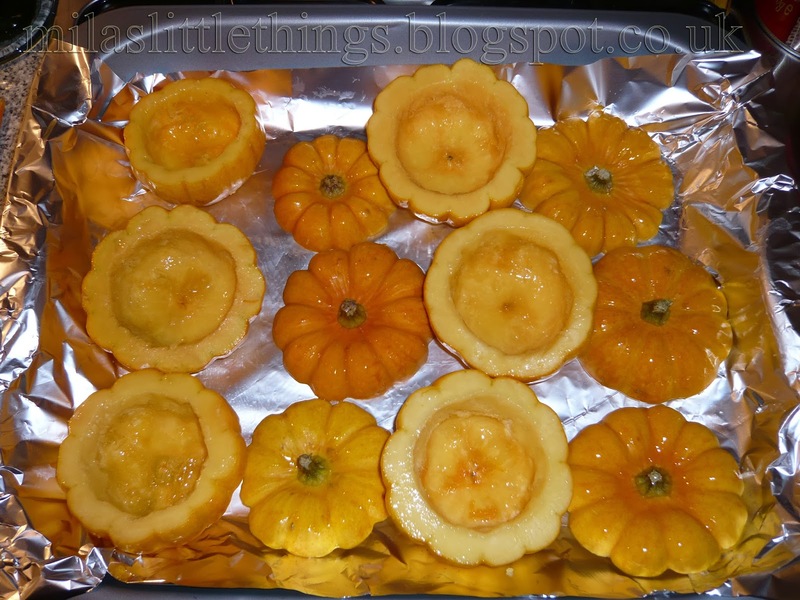 Sprinkle pumpkins with salt and brush them inside and out (including the sliced off tops) with olive oil. Place pumpkins (cut side up) and tops (cut side down) onto previously brushed with olive oil baking tray and roast at 200°C for around 25 minutes (until tender). You need to keep an eye on your pumpkins because it’s easy to overcook them. Cooking time depends on your oven type. For fan assisted ovens it could be less than 25 minutes. 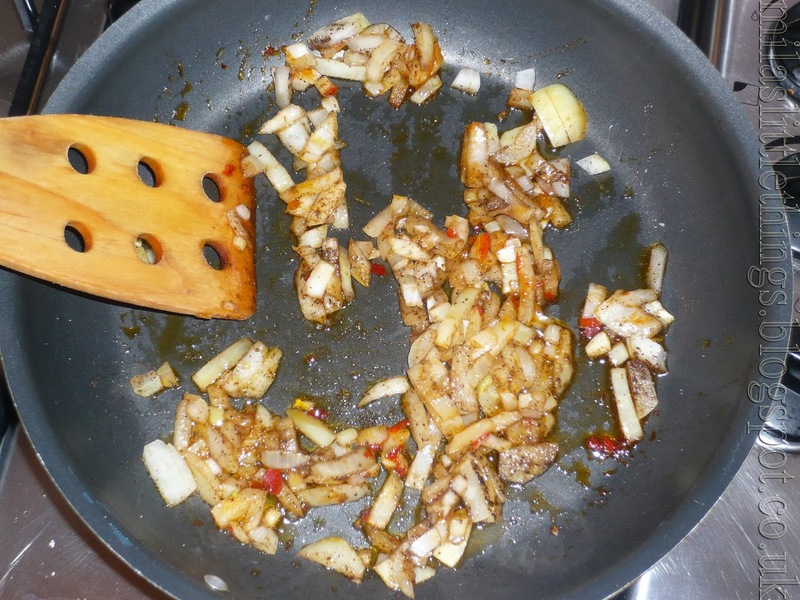 Throw previously washed and chopped mushrooms, onion and chili cubes onto the pan, sprinkle them with olive oil and fry till tender. 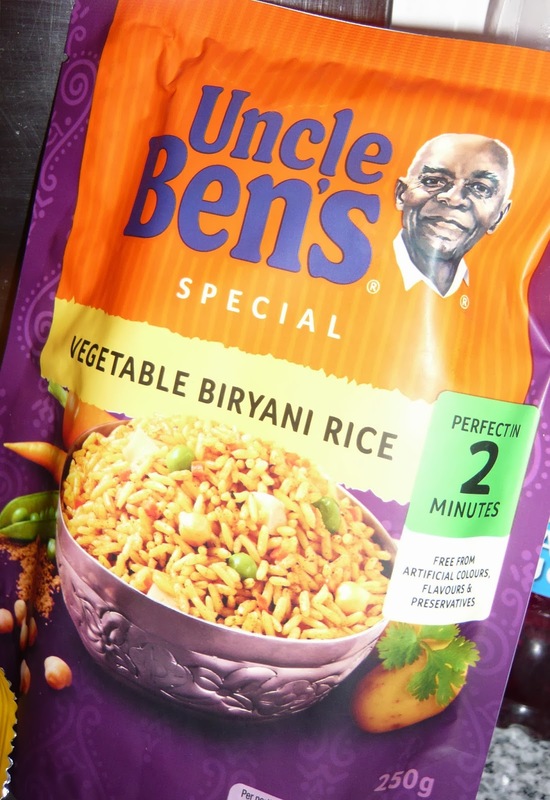 To cook rice, follow instructions on the packaging. You can use all kinds of rice and couscous to do the stuffing. Low FODmap option: sprinkle pan with olive oil, add salsa sauce (150 ml) and stir in chopped gem lettuce and tomatoes. Add cayenne pepper if desired. Cook it for around ten minutes while stirring continuously. Follow instructions on the packaging to cook the rice. 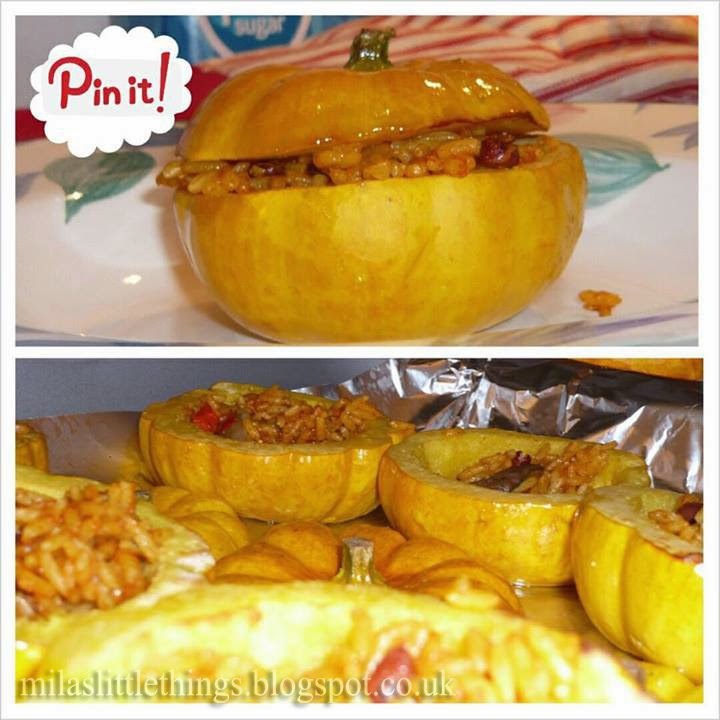 Mix cooked rice with pan content, stir it vigorously and put it into the pumpkins cavities. 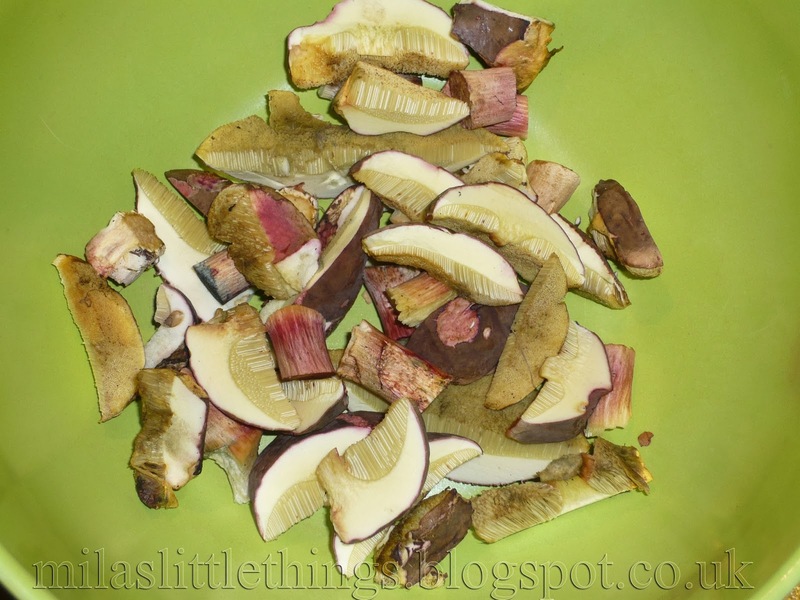 Previous PostLow FODmap fast food! Next Post‘Summer is coming’ link party! That sounds delicious! I found your link up next to mine at the Love Grows Wild party. I just made a stuffed pumpkin on my blog. Thank you for sharing yours on foodie friday. My family really loved it . Will have to try your recipe. Yours sound amazing! Perfect meal for cold evenings. Thank you 🙂 I was as suprised as you that they are edible! I like to use them as decoration as well cause they’re soooo cute 🙂 See you next week! Looks tasty!! Thanks for stopping by the Thursday Favorite Things Blog Hop I co-hosted! 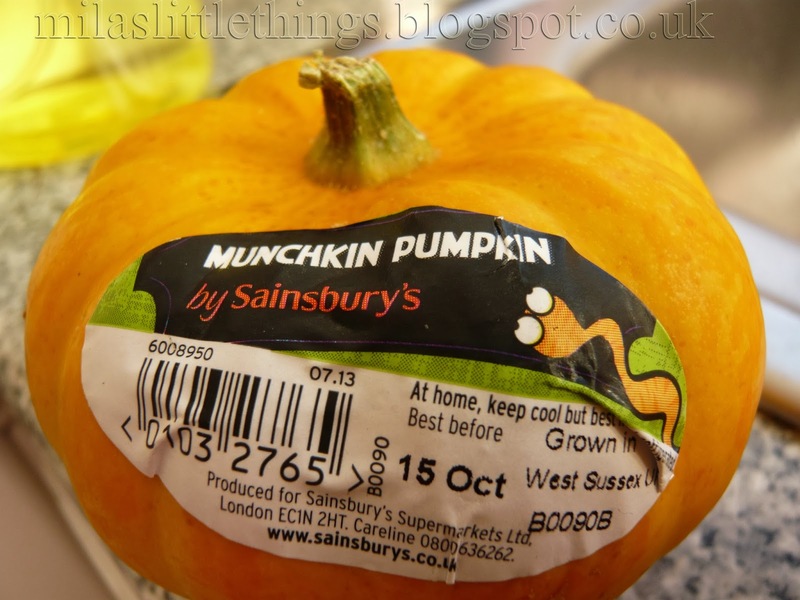 I just love the little Munchkin Pumpkins, and your recipe for the stuffing is awesome, looks really great! Thank you so much for sharing with Full Plate Thursday. Hope you are having a great weekend and come back soon! Thank you, have a nice week!